Join Acequias from around the state to stand together to protect our water. 9am - Gather at Garrets Desert Inn, 311 Old Santa Fe Trail, Santa Fe (parking available) 9:30 - Match to Round House (bring your pala!) 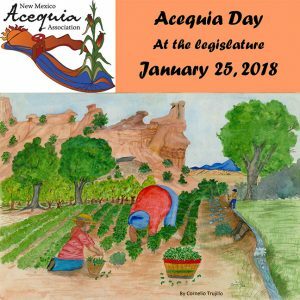 12pm - Acequia Day Rally in the Rotunda.